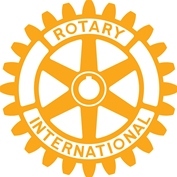 Rotary is short for Rotary International, a worldwide association of Service Clubs for professional & business persons, and was founded in 1905 by Chicago attorney Paul Harris. “Service” means to provide a service to the communities at local, national and international levels. It is essentially a grass roots organisation with most of its service efforts being carried out at club level, although some projects, such as the alleviation of Polio, have been run on a worldwide basis. Once started, the movement quickly grew in the USA, and between 1911 and 1913 clubs were formed in Canada and the UK, thus starting the International organisation that exists today. It now has in excess of 32,000 clubs in 168 countries and has a membership in excess of 1,200,000. Each Club is completely independent within the Association, subject only to Standard Rotary Club Constitution and Bylaws. It elects its own officers. Clubs are grouped into 529 Districts, each led by a District Governor and he has various assistants and committee members who are there to support and, if necessary, guide the clubs in the District. In the UK, there is a secretariat, Rotary International British Isles (RIBI). which serves the clubs and the Districts in the UK. This body, and similar bodies in other areas of the world, administer the movement, they coordinate activities, they organise conferences and they provide legal guidance. They do not dictate to individual clubs what we must do! In 1983 our Club sponsored the formation of the Rotary Club of Mar Dyke Valley. In 1954 our Club started a twinning arrangement with the Rotary Club of Voorschoten-Leidschendam in Holland. In 1959 the arrangement was extended to include the Rotary Club of Iserlohn in Germany. This twinning arrangement still exists today and is celebrated by annual tripartite meetings of the three clubs. High ethical standards in business and professions; the recognition of the worthiness of all useful occupations and the dignifying of each Rotarian’s occupation as an opportunity to serve society. The application of the ideal of service in each Rotarian’s personal, business and community life. Each member is required to attend not less than 60% of meetings in each 6 months of the Rotary year. provided that such visit is made within 14 days either side of the weekly meeting that has been missed. Attendance at a member’s own club meetings must not be less than 30% in each 6 months of the Rotary year. No member will be credited with more than one attendance in any one week. Absence from four consecutive meetings of a Rotarian’s club will result in automatic termination of membership unless the member has been excused by Council. Weekly Lunch meetings – these are probably the most important part of a Rotarian’s commitment to Rotary. This club meets at Orsett Hall Hotel at 1pm every Thursday. If absence is unavoidable, apologies should be given to the Dinner Secretary (see Club Directory) by the preceding Tuesday if possible but if not possible, at least let him know some time in advance of the meeting. Guests should be introduced to the President before lunch and should be asked to sign the visitors' book. Although guests are always welcome, it is preferable that they are not invited on the occasion of General or Business meetings. Visits to Other Clubs or District – Every Rotarian may attend the meetings of other Rotary Clubs or of Districts; such an attendance may count as an attendance in the event of the member’s absence from his own club meeting (see Attendance Rules). Should a Rotarian wish to visit another club whilst abroad, the Secretary holds a directory of Rotary clubs throughout the world. Visits to other clubs should be notified to the Attendance Officer at the next meeting attended. Leave of Absence – if a member has difficulty in making regular attendances at Club meetings, then he may make application to Council for Leave of Absence to cover the difficult period. If granted, such Leave of Absence will excuse the member from the above attendance requirements during the period for which it is granted. Excused Attendance – any member who has been a Rotarian in one or more clubs for, on aggregate, 25 years or more, and has reached the age of 60 years, upon notifying the Honorary Secretary of his desire to be exempt from attendance rules may, subject to the approval of Council, be so exempted. General Fund – the Club’s own finances are managed by the Honorary Treasurer with expenditure being covered by member’s subscriptions as agreed upon annually. Such expenditure is detailed by the Treasurer when making his proposal about the annual subscription and covers contributions to R.I.B.I. and District, subsidy for the Tri-Partite meeting and general running expenses of the Club. Club Subscriptions are due within 30 days of the start of the Rotary year. Any member failing to pay his subscription within this time shall be notified by the Treasurer and, if payment is not made within the calendar month following such notification, membership will automatically be terminated. Council may, on appeal, reinstate a member once payment of outstanding dues is made in full. Charity Fund – when events, open to others as well as members, are organised by the club to raise monies for charitable purposes, such as the Sleigh collection, the Christmas concert and Race or Quiz Nites, the proceeds of such events will be placed into a charity account which will be maintained by the Honorary Treasurer. Such monies will be donated to the advertised recipient of the event or, if no nominated recipient, to a charitable purpose as directed by the Club. Trust Fund – in 1971 the Club established a Trust Fund into which members may make donations, covenanted or gift aided, on which the Fund may make recovery of the tax paid by the member. The purpose of the Fund is to provide monies ‘to, or for, the relief of poor or needy or, to, or for, such other charitable purposes , institution, society or object as the Club shall, in duly constituted meeting, from time to time direct. The Trust Fund is a registered charity, number 101934.Trustees are appointed by the Club to administer the Fund. Such appointments are made for the period of time of the persons’ membership of the Club. If the Club feels the need it can remove any Trustee and appoint an alternate. Officers – the Officers of the club are the President, the Vice President, the 2nd Vice President (if one appointed), the Hon Secretary and the Hon Treasurer. The Vice President will automatically become President the next year. The other appointments will be by ballot of members held at a special General Meeting in December each year. 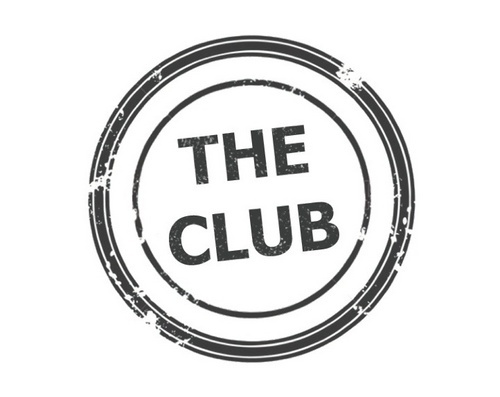 Club Council - Under the Constitution and Bylaws of R.I. each club is required to have a ‘Board of Directors’. In our club this is known as Club Council and will comprise of, the Officers, the Committee Chairmen and two other members. This group will meet on the Tuesday evening immediately preceding a Club Business meeting. Committee Chairmen – the Vice President will meet with the members of the current committees and they will determine who will be the Committee Chairmen for the next year. Ideally a Chairman will hold office for three years. Other members of Council - two persons, these will be elected by the Club and will include one relatively new member. Membership of Committees - each member is expected to serve on one or more of the Committees of the Club, which meet either on a mutually agreed evening or before a Club meeting. Members will continue to be given the opportunity to select the committee on which they would like to serve. They should wherever possible stay on a committee for three years. They shall meet at least monthly, preferably in the week before the Club Business meeting. Club Service – chaired by the Vice President, and including the Secretary, to ensure that the Presidents requested meeting program is carried out. Vocational Service – encourage Rotarians to serve others through their vocations and practice high ethical standards. Covering Rotoract, Interact, Kid’s Out and other District Events, visits/speakers on local developments/issues and how we can put our expertise back into the local community. International Service – encompasses actions to be taken to expand Rotary’s humanitarian reach around the globe and promote world understanding and peace. To organise club events of an International nature and latterly the social wing. Membership – to continue to maintain club membership levels and standards. Fundraising - to organise the charitable fundraising goals set by the club. Year – the Rotary year begins on 1st July, at which date the club officers change and new committees are formed. The last meeting of the year will be the Club Handover. Weekly Programme – this will be prepared by the Vice president, and approved by Council, to cover the year in which he is president. It will be varied throughout the year to include speakers, fellowship and business. Notice of the programme for the year will be included in the Directory OR made available on the website. Because of restrictions on time, meetings are kept reasonably formal and anybody addressing the chair is expected to stand to help with clarity. Annual General Meeting – to be held in May. To fix subscriptions, receive reports from the service committees and to elect Council members and other officers of the Club (not covered by the above Special General Meeting).